What are the best walking sandals for men in 2019? 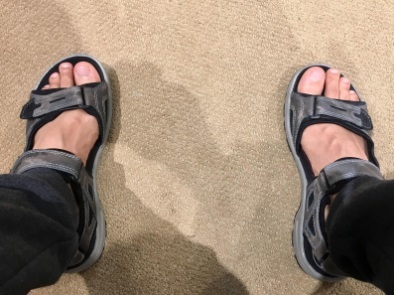 Many men prefer to walk in the comfort of sandals, and I do have to say that I am one of them, providing of course, that the terrain is suitable to do that. It seems though, that the manufacturers are either trying to confuse us, or more likely trying to stand out from the crowd. It is the only reason that I can think of to come up with some of the wacky designs we see in the market place. There are plenty of sandals to check out, but the only real way to know which are best is, of course, to check them out. A good pair of sandals needs to be comfortable, durable, have great traction, fit properly, and of course look good. 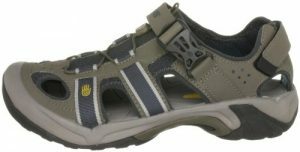 So based on the views of our walking club, and having ranked all of the buyer reviews that we could find, we came up with the following choices in our top rated list of the ten best walking sandals currently available. Before we look at that, we thought we would offer you a guide on how to pick walking sandals, and exactly what is available, and what features to look out for. Now that explanation should be pretty obvious, and the choice is one of personal preference. Personally, I like the open toe style as I enjoy the air around my feet. The open one is probably a better bet if you will be walking close to water, like rivers and lakes. The closed one will always be a better choice for those who plan on doing heavier hiking, or walking a lot on stone type paths or heavy woodland. 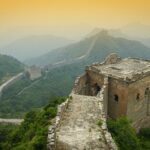 So the terrain over which you will be walking should always be the one factor to consider. 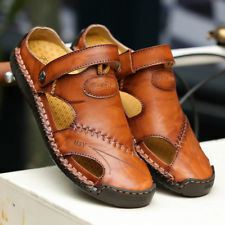 Now, a closed toe sandal is getting pretty close to an actual men’s walking shoe, but they will be lighter, and offer you a higher degree of movement and flexibility. Shoes are of course a very good choice, but often strong sandals can be just as effective, and will always be lighter and more comfortable on the feet. 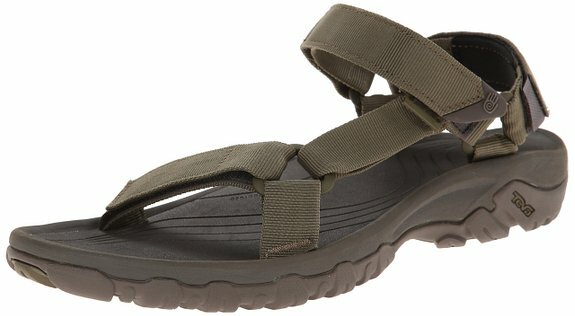 As a general guideline, these are almost always lighter, breathable, and a good general purpose sandal for walks along the beach, even as pool shoes, or for camping. 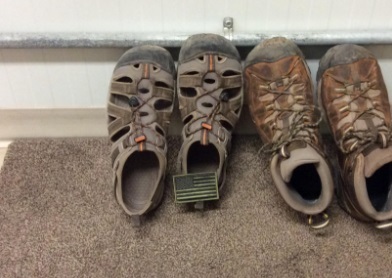 They are easy to pack, and I think make a great utility walking shoe that can be used on general terrain. They offer only the minimum amount of protection, and little to no support at all. 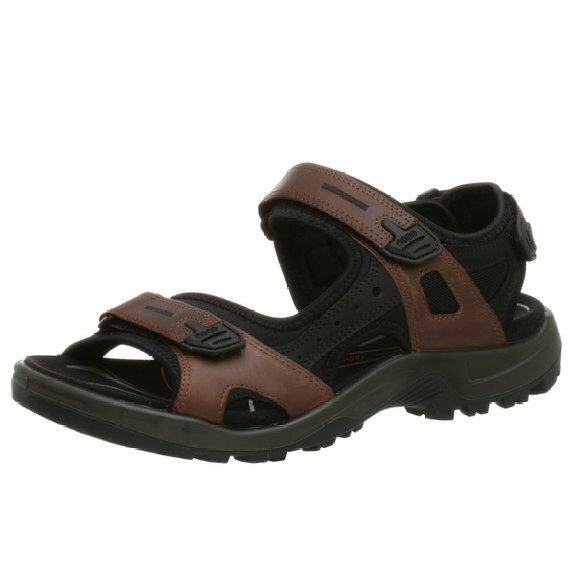 The type of man who would buy this style would be a short distance walker or hiker, someone who just has the need for a casual general purpose sandal, or for someone near water. I have seen many people wear these, and they end up with a stubbed toe or a damaged toenail. 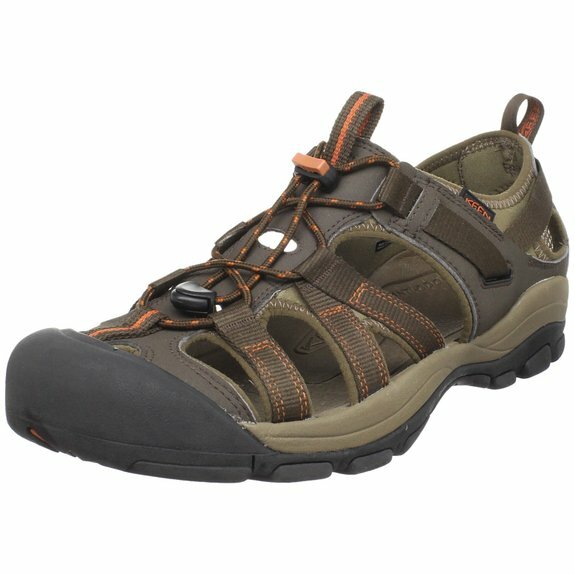 As comfortable as these might be, and as light as they may be, they are only good for what I would call walking on light terrain or near water. As the name would suggest, these protect the toes from things like briars, sticks, stones, and just about any other type of terrain that could otherwise damage your precious toes. They will be sturdier than the open style, and as such are usually heavier with slightly thicker soles. Your feet do feel a great deal safer inside them, and for those who don’t like their feet touching anything, these can also be worn with socks. They offer some protection against wet conditions, but please be aware these do take a while to dry out properly. The place where you’re wearing sandals will influence the kind that you want to purchase. If you’re thinking about a hike or plan to spend hours covering a ton of ground, you’re going to want a pair of sandals with rugged soles. They should have a comfortable foot bed, too. Spending hours in your sandals means that they shouldn’t have straps and parts that will rub your skin. Especially if you plan on hiking where a blister could cause you to lose your footing at the wrong time. Your sandals should be made of quality materials. There’s nothing worse than taking a pair of sandals on a trip only to find that they can’t handle the miles you plan for them. You don’t want to spend your time on vacation looking for a new pair of sandals. Leather uppers and a rubber sole will give you the quality that you need. The stitching and manufacturing will keep your sandals from falling apart. If you’re planning walks on the beach, you don’t want to buy leather. You should still find quality sandals with good stitching and firm soles. How comfortable your sandals are will dictate how much use you get out of them. If you don’t love the feel of your sandals, they’ll end up sitting in the closet. The ones you choose should be comfy and feel like pillows under your feet. You shouldn’t be able to feel the straps rubbing the skin. You don’t want to feel every rock on the street, either. What Outfit Compliments Them The Most? If you’re on vacation, you really can’t go wrong with shorts and sandals. They’re a staple for any summer wardrobe, and especially comfortable on the beach. It could be a pair of dress shorts or the most worn pair of jean shorts you have. They’ll all look good with sandals. You likely already knew that about shorts and sandals. 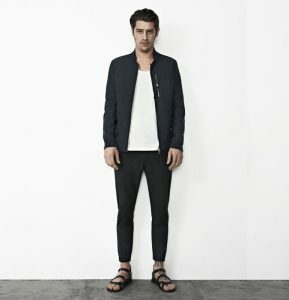 But did you know that sandals can be worn with pants, too? With a cuff, any of your dressier pants can be worn casually with a relaxed sandal. 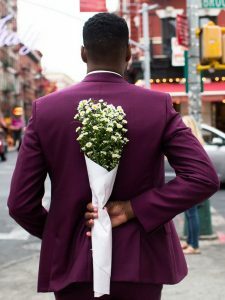 In the summer, men switch to lightweight suits in the office. 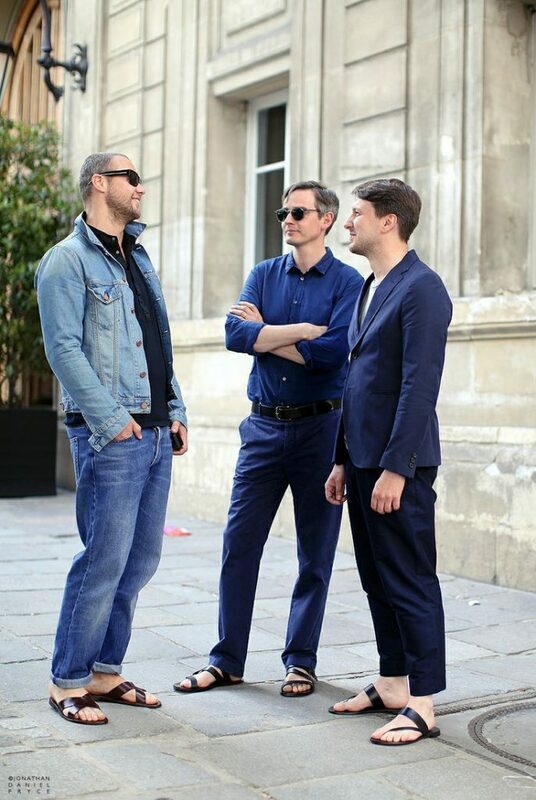 If you want to dress smart for a casual lunch meeting, sandals are very appropriate depending on the style. Think leather sandals with stylish lines. On the other hand, don’t wear sandals and expose your feet in the office. It’s not always considered the best professional attire. This will definitely depend on the amount of dates you’ve had with this woman as well as the place you’re going. If you plan on walking the beach at some point, definitely wear a handsome sandal. If you’re taking her to a fancy dinner for a first date, it’s not the best idea to wear sandals – even if they’re pretty fancy ones. If you’re uncertain whether your outfit could benefit from a sandal, consider sticking with black pants and a black pair of sandals. 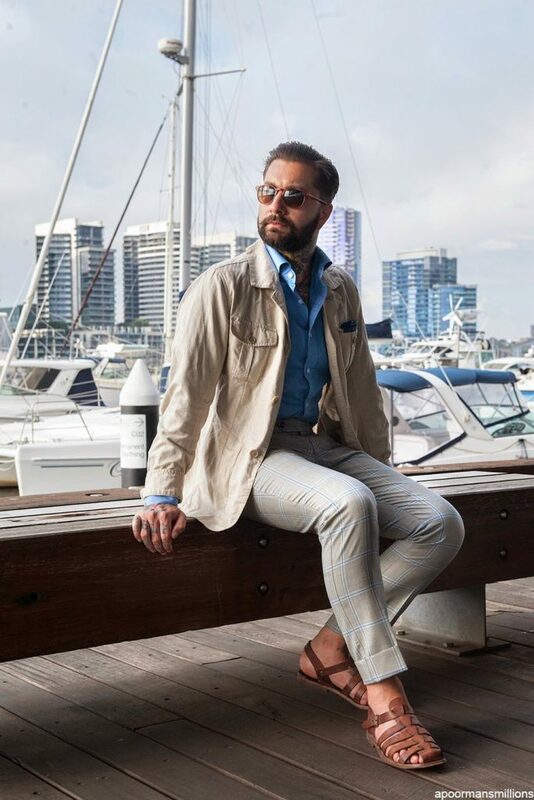 For lightweight summer suit looks, try cream or beige with monochromatic tones continued in the sandal. That’s only if you’re wearing them with pants. If you are choosing shorts, feel free to wear the color that you want. This has nothing to do with buying sandals. It’s more about the people around you. Be considerate if you’re going to wear sandals. Don’t be afraid to take some lotion to your dry feet before heading outdoors. Clip those velociraptor talons, too. You don’t want to scare small children with the length of your toenails. Consider a pedicure. There’s nothing unmanly about taking care of your body – especially your feet when you’re exposing them to the world. Below we have created a list of the best walking shoes for men. This list is based according to our research as well as average buyer ratings. These will differ in style, so please feel free to look though these to get the actual style that you like. All of the sandals shown below have reached at least 4.4 out of 5 stars and above, so the quality is clearly very high. In many cases there is only a small difference in the rating. So all of these are good, and I think your choice will mainly be about the actual style. As you can see from the image below this is an open toe sandal, or as some would better describe this as a thong type of sandal. These come in a range of 12 different colors, so plenty of choice available with this one. People buy these because they are very well made, will last for a very long time, and are also really comfortable to wear. They have a good grip rubber sole, which according to buyers offers a great non-slip feature that make steps feel safe and secure. It also uses a soft nylon webbing between the toes to avoid any rubbing in that area. We think that is REALLY important. This sandal gets the highest rating on our list at a pretty amazing average 4.7 out of 5 stars, and as such makes it our number one selection. 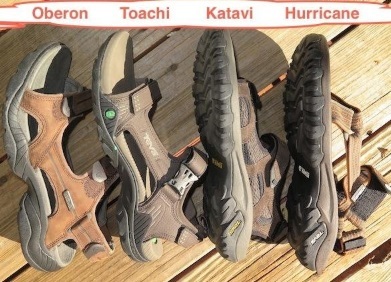 I think that I mentioned that Keen was one of the top brands available for these types of sandals. With over 1,000 online reviews, and a rating of 4.6 out of 5 stars, this is by far one of the most popular choices on the market. From the image you can quickly see that this is a closed toe sandal, and is in effect the highest rated closed toe model that we could find. They have a slightly newer version of this known as the H2, which is at number four below, but this one is a slightly higher rating, though not by much. This pull on sandal comes in eight different colors, and makes good use of a bungee style lace up system, that is quick and convenient to use. As you can see it also comes with a nicely branded logo that shows off this high quality brand for all to see. It has sold by the thousands, so you know if you opt for this one, that you will own a quality product. Quite rightly, this one is classed as the original sandal,and it is worthy of that name. If you want true comfort, then this should be your number one pick (in our opinion). 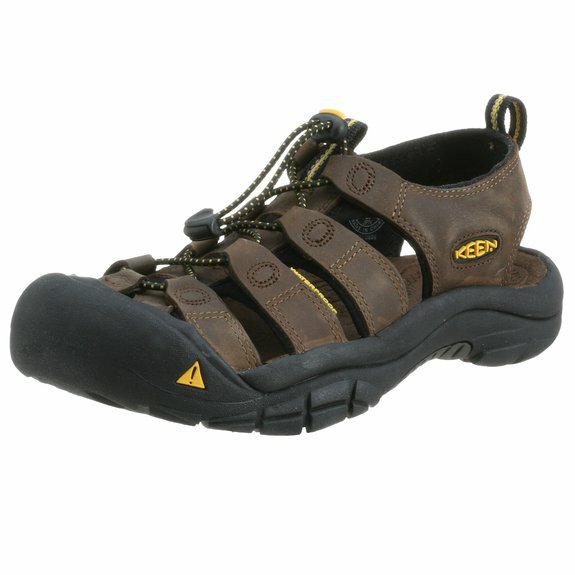 In third place is this one from the ECCO brand, another popular choice among walkers and hikers alike. This open toe sandal is also highly rated by buyers, and in particular this “Yucatan” style. There is a choice of 6 available colors, and we think this one has a very good price point. This one attracts an average rating of 4.6 out of 5 stars which is right up there with the best of them. They are made from leather, with good gripping rubber soles. They have three hook and loop straps for comfortable fitting, one around the back of the heel, the instep, and then around the toe area. We noticed that people who had flat feet seemed to pick these as their first option, so that it worth noting. There is really good support for the arches, and that makes these more comfortable that some other choices. They are also robust, and even with the hardest of wear you should get a couple of years use out of these. If you like to travel, they are light weight, and that makes them ideal for going on holidays and keeping luggage weight down. This is the newer version of the Keen original Newport that I mentioned above. This is by far the best selling sandal on Amazon and for very good reasons. There are 21 different colors to pick from. At Amazon there are several thousand reviews, and from that you can tell that these are a huge best selling product. If you want to buy a top quality closed toe sandal, then I don’t think you will go wrong with this selection. If you hike over tougher terrain, these will become your best friend. These are described by many buyers as the ideal choice for the active lifestyle. They last for ages, and are about as robust and durable as anything else on the market place right now. One buyer said you can go from water to climbing over rocks and not even have a problem with gripping. 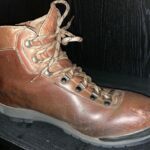 There were many other great comments of a similar vein, but in summary, all of them said that they are comfortable, lightweight, and as tough as old boots. As you can see, these have a rugged build, have a waterproof upper that dries quickly, and just happen to look good. 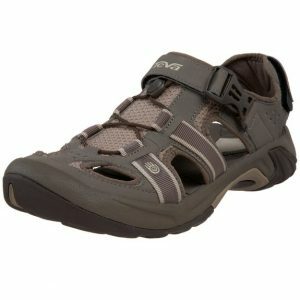 The Teva brand is also a popular choice for many walkers as well. The price point for these most certainly makes them an attractive buy for potential customers. When people buy any type of walking equipment, and indeed for any product really, they want good quality at affordable prices. For me, this is when Teva comes into its own. The “Hurricane” sandal represents both of those attributes. With a wide choice of 21 colors, this sandal attracts an average rating of 4.5 out of 5 stars, which is, once again, a very good rating. These open toe sandals certainly look the part, and are classed as true sport’s sandals. With over 1,400 buyer reviews at Amazon, you can see why these would be a very popular choice. 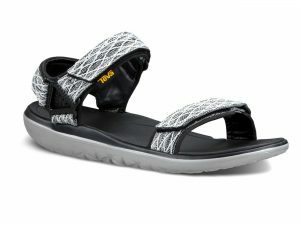 Teva pioneered the sport-sandal category. For more than 20 years on rivers, and across the tracks and trails of the great outdoors, walking and hiking enthusiasts have travelled the globe comfortably in Teva footwear. At number six on our list we return once again to the Keen brand. 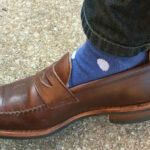 The “Owyhee” is a very attractive closed toe design that has a lot going for it. This shoe has a rubber toe cap, a rubber sole, and like many sandals in the Keen range, makes good use of the bungee lace up system. There are only three colors available in this particular shoe, which are black/rust, black/yellow and brown. If I had to pick one of these, I do like the look of the black/yellow. 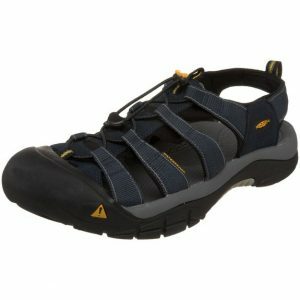 What Keen has tried to do here, is to combine a water sandal with the stability of a walking or hiking shoe. They have got that down pat with the launch of this particular selection. With over 400 buyer reviews at Amazon and an average rating of 4.5 out of 5 stars, it is clear that people like this choice. If you enjoy sailing on boats, dinghies, or also enjoy hiking, then these will make an ideal choice. The key benefit of these closed toe sandals is that they offer protection for your feet, yet remain cool to wear. 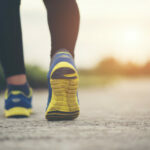 Many closed toe options can just get too hot, especially in the summer, but most buyers agree that these do a very good job of keeping your feet cool. 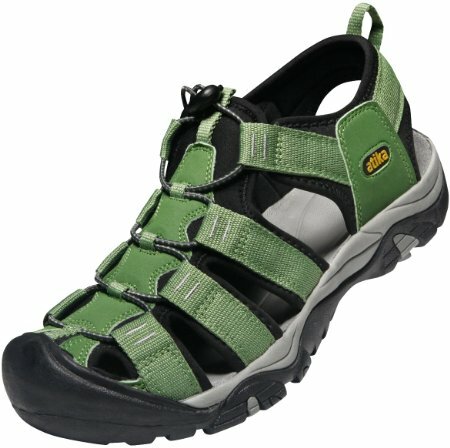 This one from Teva is an interesting choice for an open toe sandal. It uses a combination of mesh and suede with a rubber sole, and the classic thong that fits between the toes. It also makes use of a well contoured foot bed to make them very comfortable to walk in. In many ways, these could be considered as the classic flip-flops. Now if you have worn flip-flops before, especially really cheap ones, they are probably light and comfortable enough, but they just do not last very long, and can quickly fall apart. It would be unfair to class this “Katavi” sandal as a high class flip-flop, but in my opinion that is essentially what it is. With over 600 buyer reviews, and an overall rating of 4.5 out of 5 stars, there is no doubt about the quality of this sandal. They come with arch support, and I think these would make a very good choice for around the pool or at the beach. This “Omnium” style keeps on selling and selling. 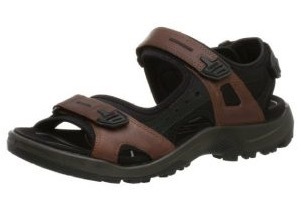 If you want a ‘closed in’ type sandal, then this will be a perfect choice. With over 1,200 buyer reviews, many buyers clearly like that look and feel, and that is why this one is so very popular. There are 4 colors available, and this model is rated at 4.4 out of 5 stars by buyers over at Amazon. This one combines a synthetic material and mesh to give a nice looking overall style and finish. It has a bungee style lacing system, that is nicely complemented with a fast release buckle to help get the shoes on and off. There is full toe protection, something that I really like, and the heel has built in shock absorption,… another nice feature for this sandal. It has a nice wide foot, and many buyers like the fact that the ankle strap can be adjusted, which is especially true if you have smaller ankles. The one thing that is certain about these, is that they will last for a very long time. They are well made and as tough as any comparable product on the market. This is an interesting brand, and has earned its place on my top 10 list. 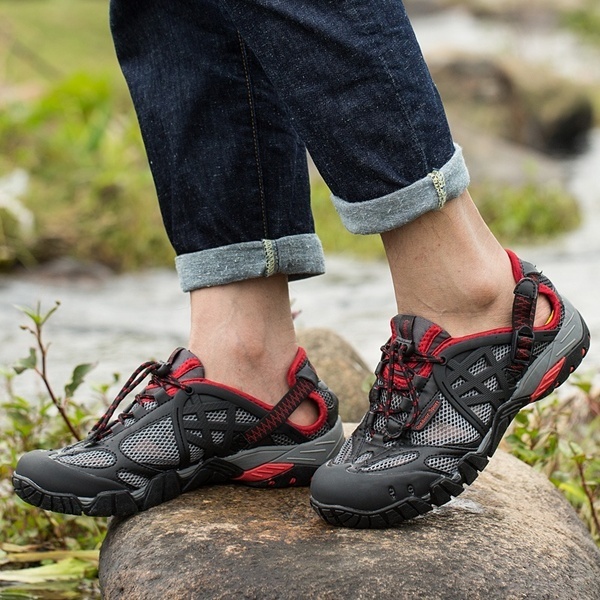 These are classic outdoor trail water shoes, with quick lacing, that uses elastic string. As you can see from the image to the left, these have a unique look, and they come in 9 different colors, the most popular being the green shown here. With over several hundred buyer reviews at Amazon, and an average rating of 4.5 out of 5 stars, you can see once again how popular these are. They are also known as the M103, M105 of the Cairo Orbital. Why they have so many names, I simply do not know. The price for these is excellent, and for anyone who does not want to splash out on a Keen or Teva brand, these are very affordable at $25 or less, depending on where you make your final purchase. Just one word of caution if you plan to buy these. They do come bigger than expected, so order a half size smaller than your normal shoe size. Buyers really like these, and say time after time that they are very comfortable. 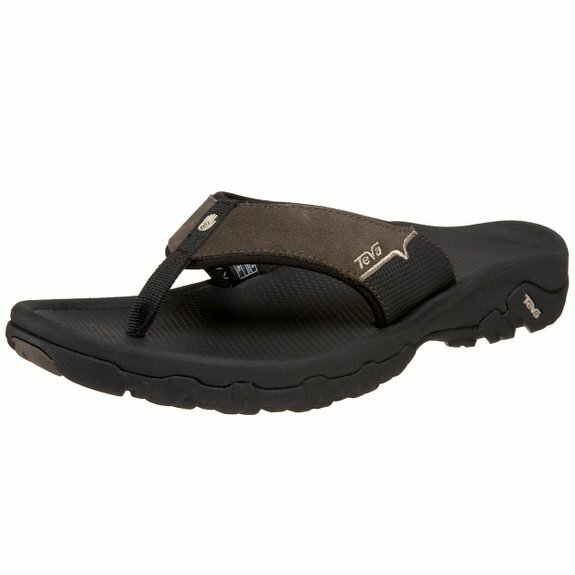 Although last on my list according to ratings, this is a very good quality sandal. Hundreds of buyers at Amazon rate these sandals as 4.4 out of 5 stars, so again a solid and consistent rating from a large number of buyers. The Waimea H2 is classed as a sporty thong sandal, and comes in the classic black or grey color. Although they sport open toes, they nonetheless offer a level of protection to the toes. That is indeed why many people make these their first choice. You get a high quality sandal with a little added toe protection, and they have also added a mesh lining to provide additional water resistance. 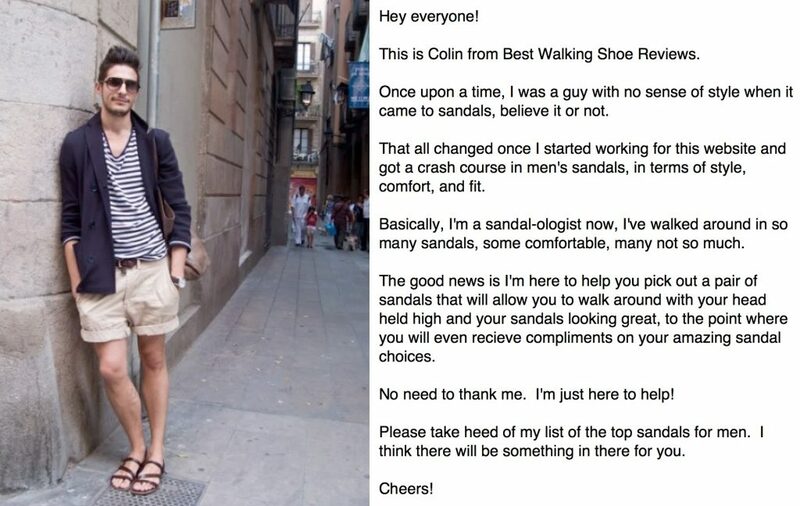 Hopefully, I’ve given you a ton to think about in your quest for the perfect men’s walking sandal. I’ve imparted all of my vast sandal knowledge, and educated you as best I can. Venture forth on sandalled feet and enjoy the air across your toes!